If you’re a Twitter user, you’re used to seeing the Fail Whale. That’s the little fellow above, who pops up every time Twitter reaches capacity or otherwise bogs down with too many Tweets at once. It used to happen on a daily basis, but a few months ago it seemed like Twitter fixed their fail problem and were handling their massive amounts of traffic pretty well. 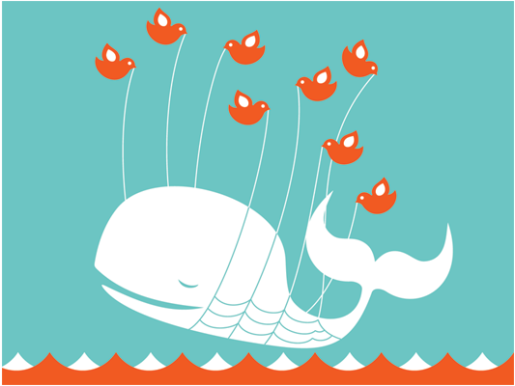 Unfortunately, Twitter techs didn’t plan on the World Cup, which has been knocking the service offline and acquainting a whole new generation of users to the Fail Whale. Apparently they’re not that used to huge, since, you know, the service has been troublesome since the World Cup kicked off. Given Twitter’s emergence as a news source and as a place for witty commentary, I think everyone knew that it’d get a big uptick from the World Cup, but not as big as it has been. Twitter’s exploded!